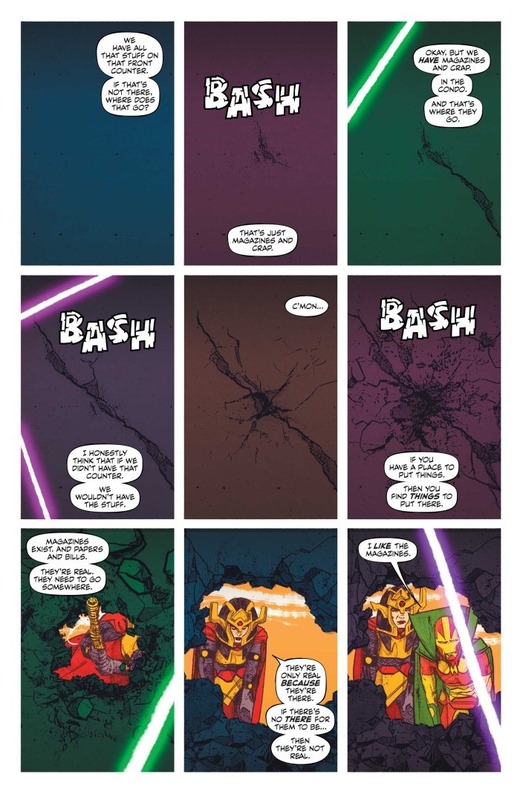 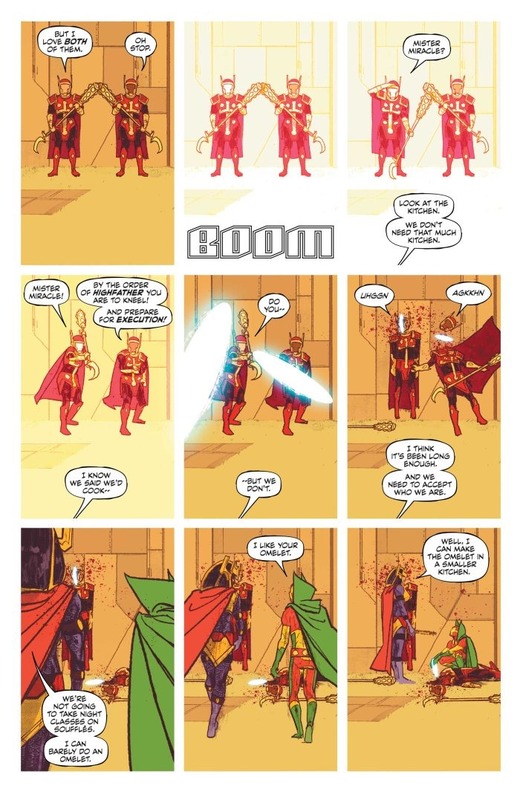 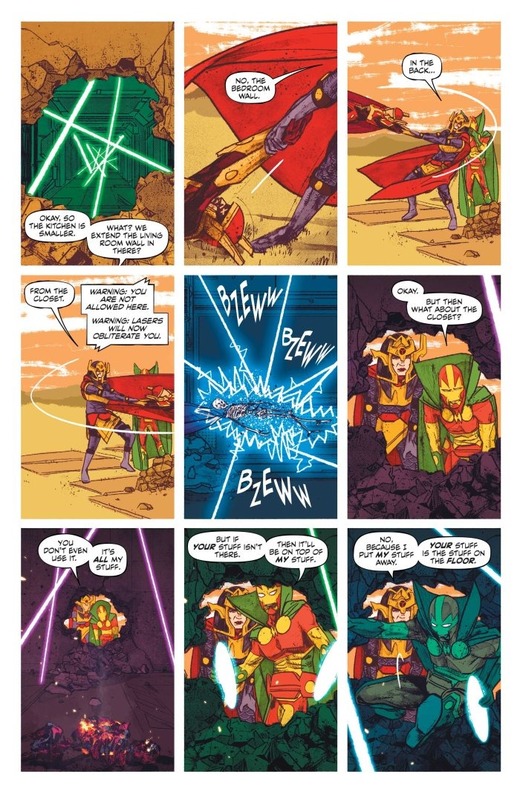 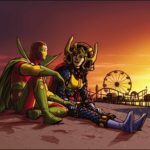 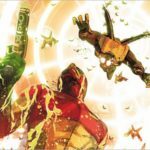 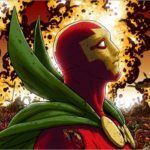 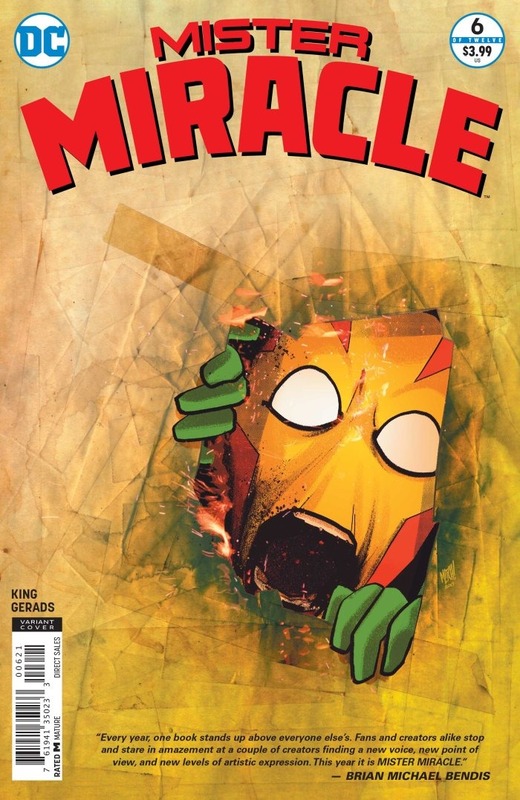 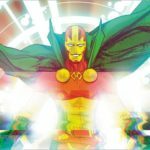 Here’s a 4 page preview of Mister Miracle #6 by writer Tom King and artist Mitch Gerads, on sale January 10th, 2018 from DC Comics. 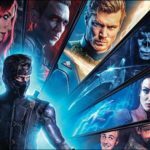 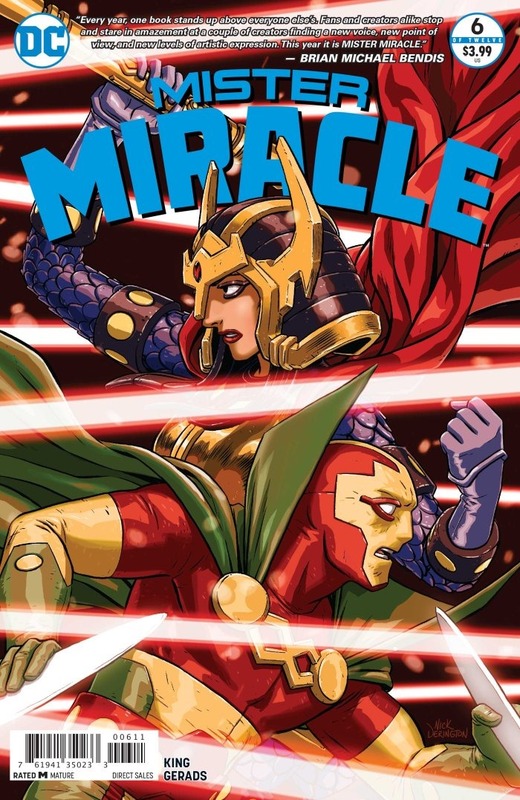 The hit miniseries reaches the emotional conclusion of its first arc! 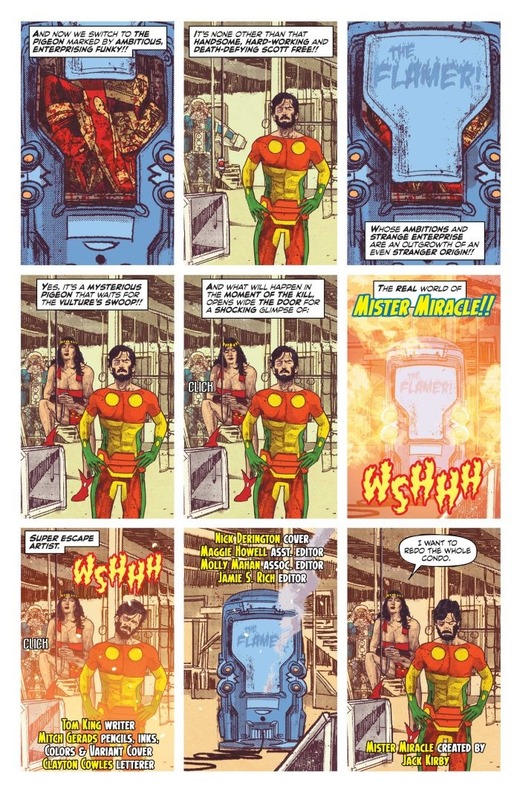 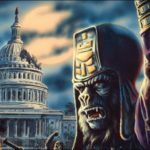 Scott Free returns to New Genesis to face his punishment, but instead finds the whole world has been flipped upside down. 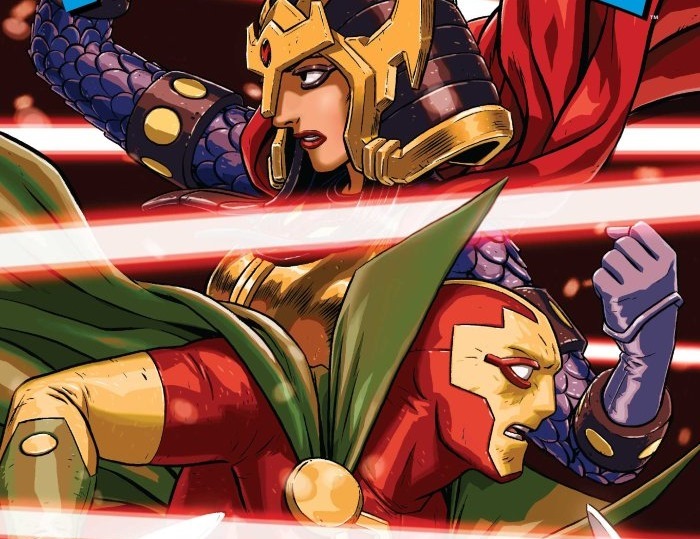 Mister Miracle and Big Barda battle their way through monsters and New Gods to get to the Highfather, but once they reach Orion’s throne room, they learn that the war against Darkseid has taken a bloody turn.